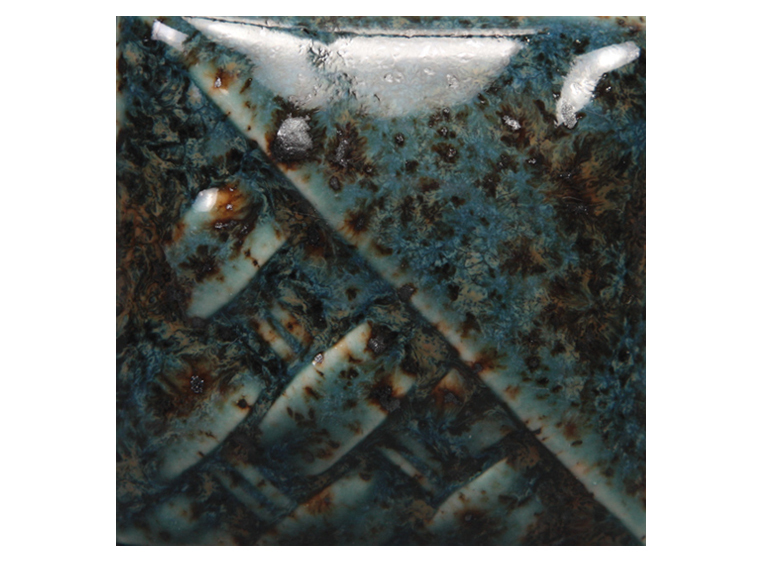 Mayco's Shipwreck Crystal Stoneware Glaze adds interest to your piece! Deep blues, browns, golds, and rust colors are perfect for any nautical themed work of art! Crystal Stoneware Glazes are glazes that are designed to expand upon the surface with bursts of color. Crystals will settle to the bottom of the jar, and will need to be thoroughly mixed prior to painting as well as in-between coats. Apply 2-3 coats using a fan or hake brush to the top two-thirds of the piece. During your last coat, use your brush to evenly distribute the crystals over the top two-thirds of the piece and move away from the bottom third.